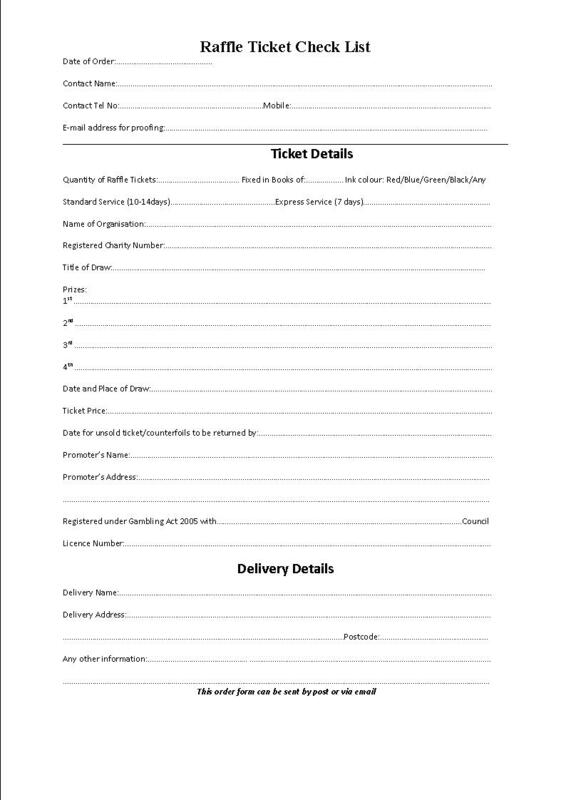 The form below can be used as a check list when emailing your order. We require this information to produce your raffle ticket. To print this form, please right click on the Raffle Ticket Check List and click on print.